It will soon be the twentieth anniversary of devolution in Wales. I am the fourth person to hold the office of First Minister and I remember in the 1980s I sat down with the very first Leader of the Assembly in Wales, Alun Michael, to plan a series of projects and activities for a group of young people we would work with in the west of Cardiff each summer. For those who were not there it can be difficult to describe that most dismal of decades. The deliberate stoking of unemployment; the relentless cuts in public services; the assault on trade unions and Labour local authorities. The targeting of young people in particular. ‘Not worth fifty pence an hour,’ as one of Thatcher’s ministers sneeringly proclaimed at the time. In the teeth of one of the most reactionary UK governments in history we set out to create at least a chink of hope in the long summer months for those young people denied a sense of their own future by the harsh economic realities of that time. When I became the leader of our party and First Minister I said that I wanted Labour to be a beacon of hope in a darkening world. I said that because in 2019, our young people again face a set of challenges akin to those of the 1980s: the impact of a decade of deliberate Tory austerity, the sharply unequal society created by it. Life under a Tory government that wants to turn its back on the world and deny young people opportunities offered to those that came before them. Perhaps nobody understood that better than our second First Minister, my great friend and mentor – Rhodri Morgan. For the ten years when he was First Minister I had the privilege of working alongside him in that great and formative period in the history of devolution. Not a single day goes by, when sitting in the office he once occupied, I don’t draw on the lessons that he taught me. The late Welsh Labour leader Rhodri Morgan. The lessons I learned from his remarkable ability to combine genuine and authentic popular appeal with genuine and authentic political principle. The ability to translate that combination into practical action which reaches deep into people’s lives. A focus on the small things – the bread and butter things – that have demonstrated in an intensely practical way that the concerns of working families are our concerns. 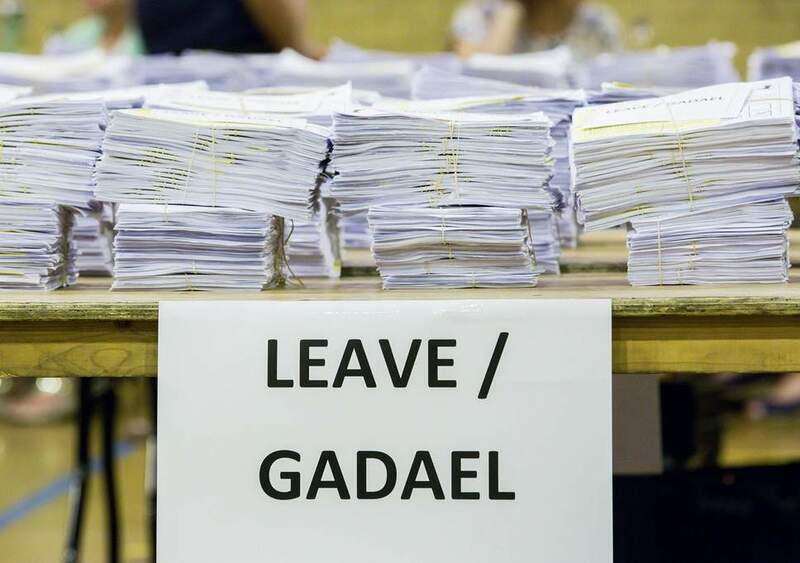 Something built on by successive Welsh Labour governments in the devolution era: free prescriptions, no car parking charges in our hospitals, free breakfasts in our primary schools, free bus travel for older people, and the most generous childcare offer anywhere in the United Kingdom. Practical support that has wide application, but which is there to support most the families whose incomes are squeezed hardest at the end of the week. My immediate predecessor, Carwyn Jones took conference by surprise last year in announcing his intention to stand down after nine years as Labour leader and as First Minister. Since then there have been many people, from the party and beyond, who have marked the achievements of those important years. Assuming office as he did following the financial crash, his was not an easy inheritance. He led devolution through the successful referendum of 2011, he led his country through what has been nearly a decade of Tory austerity and he led our party to two vital Assembly election victories. Our country, our movement and our Parliament is stronger today for the fierce commitment I know that Carwyn has to public service and to Wales. Gyfeillion, diolch am gyfraniad enfawr Carwyn – i’n gwasanaethau cyhoeddus, i’r Blaid Lafur, ac i Gymru. I want us to focus on one of the important and fundamental arguments Carwyn made during his time as First Minister. He spoke about the dangers of Brexit and the dangers of the Conservative Party, a party more dedicated to austerity than to prosperity, more content to cut off the UK than to connect it to the modern world, one wrapped and trapped by a mythical nostalgia for a past remembered only by its ever diminishing membership. Today’s Conservatives are led by a Prime Minister who breaks new constitutional ground every single day, who has re-written back-me-or-sack-me to back me or I’ll sack myself. Theresa May is the first Prime Minister in history to fall on her own sword – and then to miss. Deep in its DNA the Conservative Party remains fundamentally hostile to devolution. It is still unreconciled to us here in Wales making our own choices. They believe in only one source of sovereignty in the United Kingdom. Indeed, for the Secretary of State for Wales the chaos of Brexit is just another opportunity to grow his own office, a cover for taking back powers and funding that belong to Wales. Let me issue this very clear warning to the Secretary of State for Wales. If he continues to persist in using the so-called UK Shared Prosperity Fund as a means of by-passing the National Assembly, and as a way of using Brexit to short-change the people of Wales, then he is heading for a fight. We were told that leaving the European Union would strengthen devolution, that an ‘absolute guarantee’ was built into Brexit that all the funds would continue to flow to Wales after our membership of the EU ends. Welsh voters backed Brexit in 2016 by a similar margin to the UK as a whole, 52.5 to 47.5%. Many members here will have read of the great campaigns of the South Wales Miners in the dark days of the 1920s and of their famous slogan, ‘not a penny off the pay, not a minute on the day.’ So, let us put it in simple terms that even the Secretary of State for Wales will understand. When it comes to Brexit: Not a Penny Less, Not a Power Lost. That is the message of this party; and that is the message he will have to understand. Of course, as a result of the mind-numbing incompetence of the Tory government, it seems as if we will have European elections in a little over one month’s time. You will be told that these elections are meaningless; that it’s not worth bothering to turn out to campaign or even to vote. Please don’t believe it. Our opponents – the hard-line Brexiteers in the Tory ranks, Nigel Farage’s new ego-trip of a party and the last remnants of UKIP – will see this as an opportunity to argue that people don’t just want to leave the EU, they want no deal. We need to show they’re wrong by making the Labour case. Because whether we stay or we go, we are Europeans here in Wales. If these elections prove to be only symbolic, let them be a symbol of our enduring commitment to co-operation and partnership with our friends and colleagues in Europe and beyond. Let’s take these elections as seriously as we would a general election and fight for every single vote. Not only does a Tory Brexit pose a huge threat to the Welsh economy and Welsh communities it also poses a very real danger to the future of the United Kingdom. Both Scotland and Northern Ireland voted to remain in the EU. In both places there are political parties who argue for a future for those countries outside of the UK. Here in Wales, Labour is a fiercely devolutionist party. We believe passionately that decisions which affect only people in Wales should be made only in Wales. But we also believe that our future is best secured in a successful United Kingdom. Under its new leader, at least we now know for certain that Plaid Cymru believes in something different, that the first and overriding ambition of their party is the break-up of the United Kingdom. I have respect for those colleagues in Plaid Cymru who I have worked with on the Welsh Government’s progressive agenda. But let nobody be under any illusion of the consequences of voting Plaid Cymru at the next Assembly election. If you think Britain leaving the EU Single Market has been chaotic, just wait until Wales tries to leave the UK Single Market. We live in the most testing of times. The utterly botched negotiations with our partners in the European Union have damaged the UK’s reputation in the world, and despite the agreement reached last week, the dangers of crashing out without a deal are far from being eliminated. The risks to Wales from leaving the EU have always been greater than elsewhere, and these risks are compounded by the damage that a decade of austerity has inflicted on our public services and on the fabric of our communities. Faced with the scale of the challenge posed to our party and our country it is not difficult to see why so many of our fellow citizens have become fearful for the future, why they have lost confidence that their needs and their priorities will be safeguarded in what lies ahead. To everyone in Welsh Labour I say, take courage. Have the courage that comes with the lessons of the labour movement. Have the courage of our own history: that no victory for working people was ever won without a struggle; that the powerful and the privileged will always look after themselves, first and last. They do not bear the burden of austerity; they will not be damaged by a botched Brexit. It is this party, working here in Wales and working in Westminster, that has put the needs of our economy and of jobs at the top of our Brexit agenda. And that is why I say to people in Wales beyond this hall that they can still look to the future with hope. The hope that comes from knowing that, whatever the difficulties, there is a Labour government here in Wales that is on your side. A Labour government that is working every hour of every day to look after Wales and to look out for you. Where we have courage, where we have hope and where we act together the future can still be one in which we can have faith. A future in which all can prosper – where the talents that you have and the efforts that you make matter far more than the accident of birth or the money you have in your pocket. A future in which we create that more equal Wales. Our more equal Wales will be one in which we provide those public services which matter to us all, but where it is the urgency of your need, not the sharpness of your elbows, which gets you to the front of the queue. The principles of equality, social justice and solidarity have shaped our work in Wales since the start of devolution. Our record on the economy since devolution has been strong. We’ve stood by – and will go on standing by – our great industries such as steel. Our employment rate is the highest on record. There have never been more businesses active in our economy. Over 300,000 more people are in work. Our rates of economic inactivity are now lower than the UK average for the first time in history. The Tory government announced in June that it was rejecting plans for a £1.3 billion tidal lagoon in Swansea. But now is the time to think urgently and clearly about the future economy we want to build in Wales, one that builds a resilient and fairer future for our communities after Brexit. It means taking steps to improve our productivity so we become one of the most attractive and effective places to start, to grow and to invest in a business. But it also means doing something else – developing new industries and new technologies that give us a stake in the future. 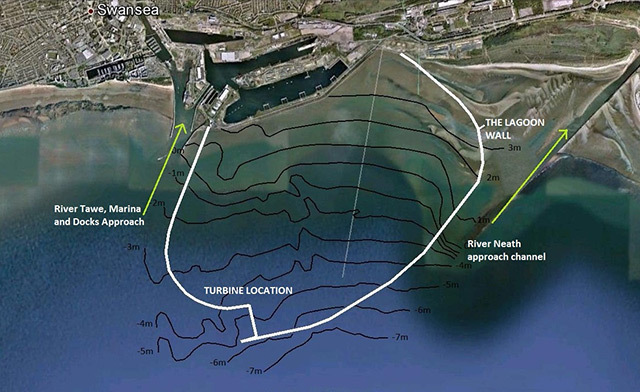 The announcement last year by the UK government that it would not take forward the groundbreaking Swansea Tidal Lagoon project was proof enough of the bankrupt and empty thinking at the other end of the M4. The decision was not only disappointing, it was shortsighted. Given our significant natural resources, Wales is in a unique position to harness the potential of renewable energy, to use it as a platform on which we can build not only a more resilient and more sustainable energy future and also build a more resilient and more sustainable economic future. I want us to be at the forefront of renewable technology in Wales, to recognise that we do not inherit the earth from those that came before us, we borrow it from those who come after us; that we hand on this fragile planet, and our small place in it, in a state which is fit for those who come after us. And, in doing so, we build a new economic future that lives up to the ambition of our Well Being of Future Generations Act. We know that more equal societies grow faster and grow inclusively. Even the World Bank – and the IMF – have now woken up to that fact. And they tell us that partnership with trade unions and business is key to that. I’m proud that our social partnership approach has delivered real protections for workers in Wales: through our Agricultural Wages Act, our Trade Union Act, our groundbreaking codes on ethical employment and procurement, by abolishing zero hour contracts in the care sector, through our Fair Work Commission which will report soon, and in our Economic Contract. We have developed progressive and meaningful protections for working people in partnership with businesses and the trade union movement. I gave a commitment in my leadership manifesto to develop a Social Partnership Act that will consolidate that partnership within a legal framework based on equality and respect with the representatives of business and the trade union movement to deliver a fairer and more prosperous Wales. It is our job to ensure that companies receiving public money show that they are ethical and socially-responsible operations. We will begin that process by taking forward the implementation of Section 1 of the Equalities Act of 2010. But I recognise that our partners’ desire for urgency in our response – and I share that desire. That is why I will begin the new Assembly term setting out the practical steps to bring forward legislation that will put our social partnership approach on the statute book. The first one hundred days of our new government have been busy. We’ve met our manifesto pledge to raise the capital threshold for residential care to £50,000, two years early. We’ve ended the shame and the unnecessary pain of prison as a sanction for non-payment of Council Tax. We’ve set up a new fund to support the foundational economy, and we’ve exempted care leavers from the payment of council tax. 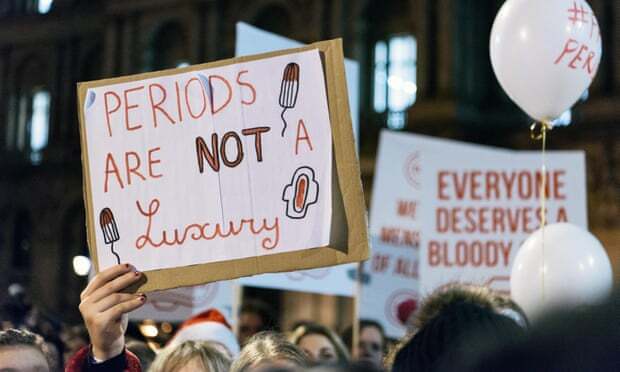 The Welsh government has announced plans for an extra £2.3 million to fight period poverty. All of these changes had their roots in the ideas and the campaigns that our Welsh members fought for and developed. And now I can announce that we are responding to another practical, member-led campaign – the campaign to end period poverty. The Welsh Government is making available £2.3 million to provide period products to all learners in schools and colleges who need them. I said that the Cabinet I led would reflect the society we live in. There are an equal number of men and women in Wales, and for the first time in history our government has more women than men. We also have a dedicated Minister for North Wales. I said that our new government would be driven by the concerns people have for good-quality housing and that is why we have appointed a Minister for Housing that now sits at the Cabinet table. But there is much more that we need to do to reverse the disastrous legacy of the Thatcher years. We have already scrapped Right to Buy in Wales and are fulfilling our commitment to build 20,000 affordable homes in this Assembly term. We have used our tax powers to set the highest threshold for Stamp Duty anywhere in the UK, helping not just first-time buyers, but those families looking to move up the housing ladder. We will go further and set councils building again. We will abolish unfair letting agents’ fees in the private rented sector. And we will end the demeaning and degrading practice of ‘no fault’ evictions for people in the private rented sector. It is our duty to hear one of the central messages that came out of that difficult 2016 referendum campaign: there is an anger within communities across the UK about the unending austerity that has torn at the fabric of our communities. People are angry at the way in which the burden of cuts has been loaded on to the shoulders of those least able to bear it. People are angry when they hear the UK Government say that austerity is over when in their own lives they see prices going up but wages and benefits stand still. The duty of the Labour Party is not to deflect or to deny that anger. Ours has always been – and always will always be – to answer it with practical, progressive change: to construct and to build something better and stronger for working people; to protect our public services; to keep our NHS free from the malign influence of the profit-seeking private sector; to keep access to education as a right and not a privilege; to build a fair work nation. I think back to those young people I worked with in Cardiff in the 1980s. Those young people who will now have children and families of their own. We owe it to them to be that beacon of hope that lights the way to their better future. Never has there been a more urgent need for Labour governments across the UK. We have a duty to ensure that our most radical days are ahead of us. Ready to work hard, every day, to earn and re-earn the support of people in Wales and then to out that trust to work. Ready to renew and to redescribe how we build the Wales of the next twenty years. A Wales in which equality and diversity go hand in hand, in which solidarity and community are the foundations stones of all we do, where we live out that essential socialist truth that the future of any one of us is bound up in the future of us all. And where, together, we create that stronger, greener and fairer Wales which only this Labour Party can deliver. 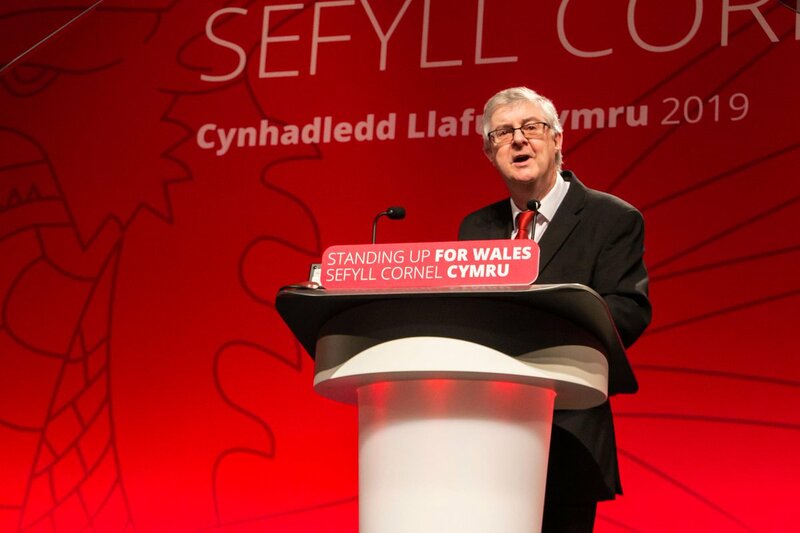 This article is excerpted from Mark Drakeford’s address at the 2019 Welsh Labour annual conference. Mark Drakeford is the Labour First Minister of Wales.